We’re all still stinging from the portrayal of Venom, one of Spider-Man’s most iconic villains, in the much derided Spider-Man 3. It’s safe to say the treatment of the character in that movie wasn’t up to most fans’ expectations – nor the rest of the film, come to think of it. 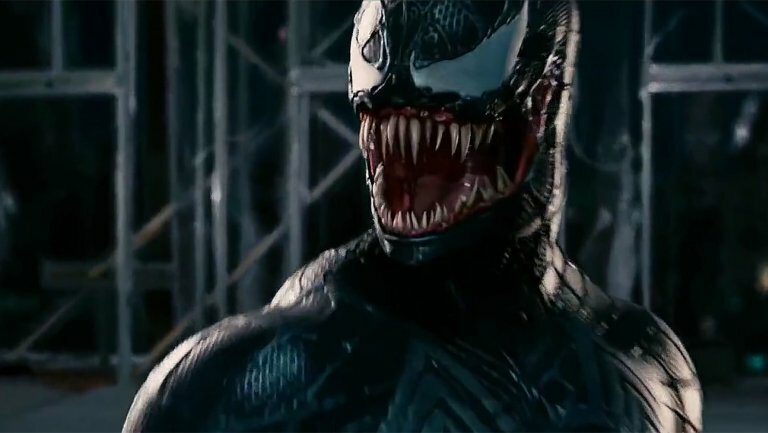 The dangerous symbiote who transforms Eddie Brock into an incredibly powerful and aggressive heel to Spidey is getting his own film to rectify this poor treatment, and it looks like the first look at Venom himself has leaked. It will be the first in a series of Sony-produced Spider-Man related flicks, but until today we haven’t seen just what the big bad will look like. Artist Mikkel Frandsen has uploaded a digital sculpture he made of the creature, and this could well be the basis for what fans can expect to see in the upcoming film. Now, Screen Rant have noted that Frandsen lists ‘Unannounced Title (2018)’ on his website as a major project he worked on during 2017, which is very likely to be the Venom film set to drop next year. What we do know so far about the new film is that the flick will be based on the Venom: Lethal Protector comic book mini-series. In this mini-series we saw Venom and Spidey come to an uneasy truce as the symbiotic villain moved to San Fransisco to become its ‘lethal protector’. However, once there, Brock is set upon by a mysterious organisation known as the ‘Life Foundation’ who want to capture him and study the Venom symbiote so they can use it for their own nefarious purposes – the creation of five new symbiote villains: Scream, Phage, Riot, Lasher, and Agony. Filming is underway, and we’re not likely to get a trailer for another few weeks at the least, but this little teaser is a nice way to tide us over for a film which is becoming increasingly attractive the more we learn about it. While we won’t be seeing Venom in an MCU film any time soon (though at the rate Disney is buying up the competition it might not be too long), this film is certainly one to look out for next year. Venom is slated for release on October 5, 2018.